One of Ontario’s 24 Senators, Senator Nancy Ruth is honoured and privileged to take on the responsibility as a senator for Ontario, women, girls and Canada. Born in Toronto, Senator Nancy Ruth holds a B.A. in Political Science, and an M.A. in Applied Behavioural Sciences, as well as a diploma in Theology. Throughout her life, the Senator has been active in various religious, professional, political, educational and non-profit organizations in Canada, Britain and the United States of America. She is also an advocate of social change for women and girls in Canada. 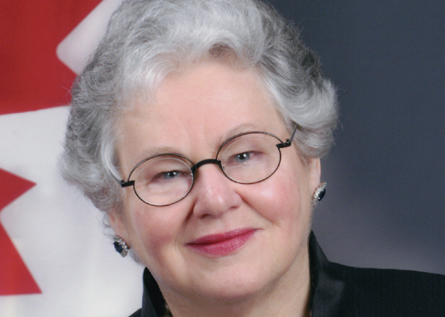 Senator Nancy Ruth has co-founded many organizations to this end (including the Women’s Legal Education and Action Fund, the Canadian Women’s Foundation, Toronto’s The Linden School, section15.ca, the Women’s Future Fund and the Charter of Rights Coalition). A desire to protect the environment.